It might not be cookies and milk, but Silverado HD and John Deere equipment go together pretty darn well. It's not all Humvees and tanks, apparently. The Chevrolet Silverado 2500HD is a serious truck for drivers who have serious work needs. 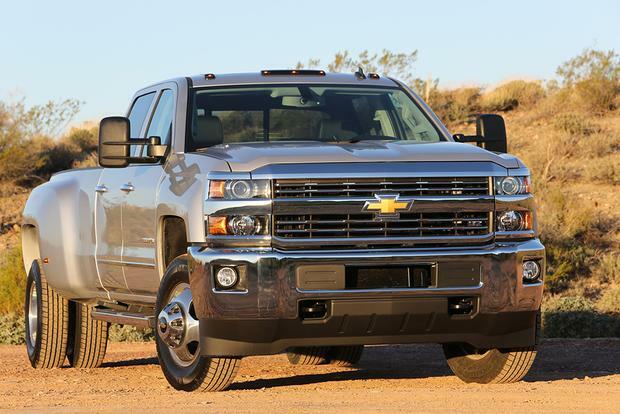 2014 vs. 2015 Chevrolet Silverado HD: What's the Difference? We're comparing the all-new heavy-duty Chevrolet Silverado to the outgoing model to find out exactly what has changed for 2015. What happens to crazy customized cars after the SEMA show? A lot of them find their way onto Autotrader. If you're looking for a great deal on a new pickup truck, our list of November's top truck deals is a great place to start your search. Fully redesigned last year, the 2015 Chevrolet Silverado 1500 offers a more modern take on the traditional full-size pickup truck. That means the bare interiors and low-quality materials found in the old trucks are gone, replaced instead by a more elegant interior, crossoverlike ride and handling, modern technology and -- at the heart of it all -- improved capabilities. In other words, the latest Silverado makes an excellent case for itself as one of today's top pickup trucks. Yes, it's true that the new Silverado's styling isn't radically different, but that's no accident. The small changes give the truck a modern look while keeping it recognizable. 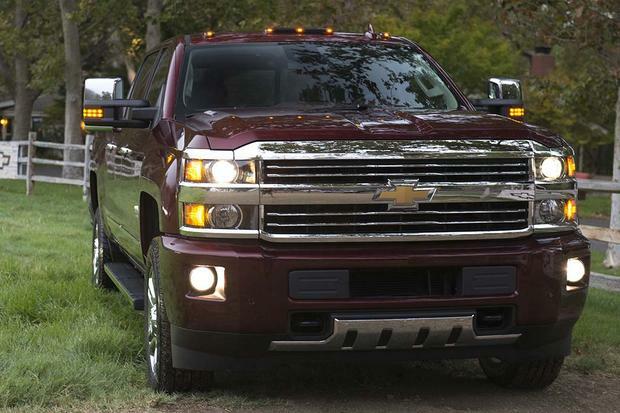 It's what's under the skin that counts, and that's where the Silverado shines. This year's Silverado is wider, tougher and more high-tech than ever. 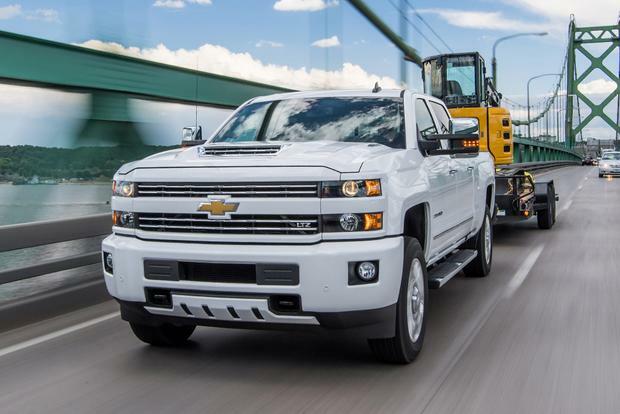 While it may look mostly the same, the latest Silverado is also more capable, boasting a greater payload and towing capacity than ever before. 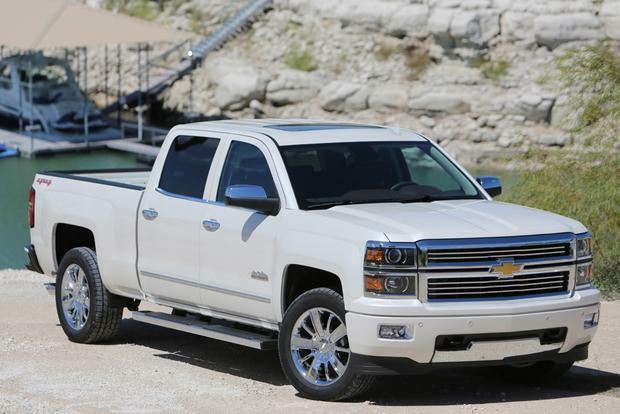 Although the Silverado was fully redesigned last year, it also has some updates for 2015. 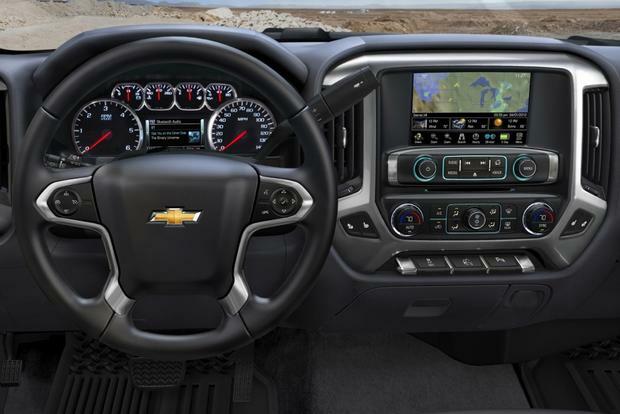 They include GM's latest OnStar system, which boasts Wi-Fi and 4G LTE mobile hotspot capability, along with a few minor changes such as an updated WT convenience package that now includes a backup camera and E85 capability for the truck's 4.3- and 5.3-liter engines. 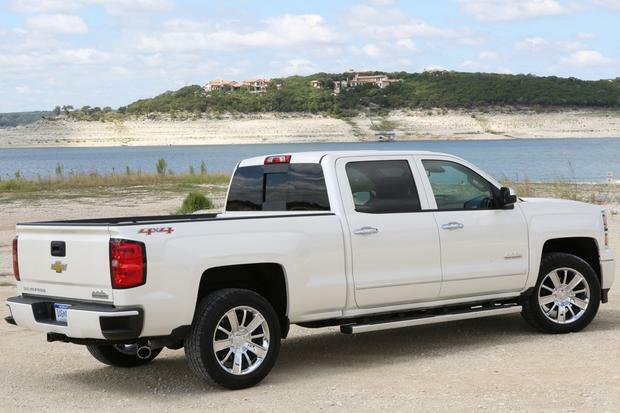 The 2015 Chevrolet Silverado 1500 is offered with three engines: a 4.3-liter V6 that makes 285 horsepower and 305 lb-ft, a 5.3-liter V8 that makes 355 hp and 383 lb-ft and a 6.2-liter V8 that makes 420 hp and 460 lb-ft. All have a 6-speed automatic as the only available transmission. For shoppers interested in gas mileage, the 4.3-liter engine is the one to choose. It returns 18 miles per gallon in the city and 24 mpg on the highway with 2-wheel drive, or 17 mpg city/22 mpg hwy with 4-wheel drive. Drivers who step up to the 5.3-liter V8 will find fuel economy ratings of 16 mpg city/23 mpg hwy with 2-wheel drive, or 16 mpg city/22 mpg hwy with 4-wheel drive. The mighty 6.2-liter, meanwhile, returns 15 mpg city/21 mpg hwy with 2-wheel drive, or 14 mpg city/20 mpg hwy with 4-wheel drive. Like all full-size trucks, the Silverado 1500 is offered with a number of body style configurations, engine choices, drivetrain options and bed sizes. We've simplified it here for shoppers interested in buying a Silverado, but choosing the truck that's right for you will involve more than just picking a trim level. 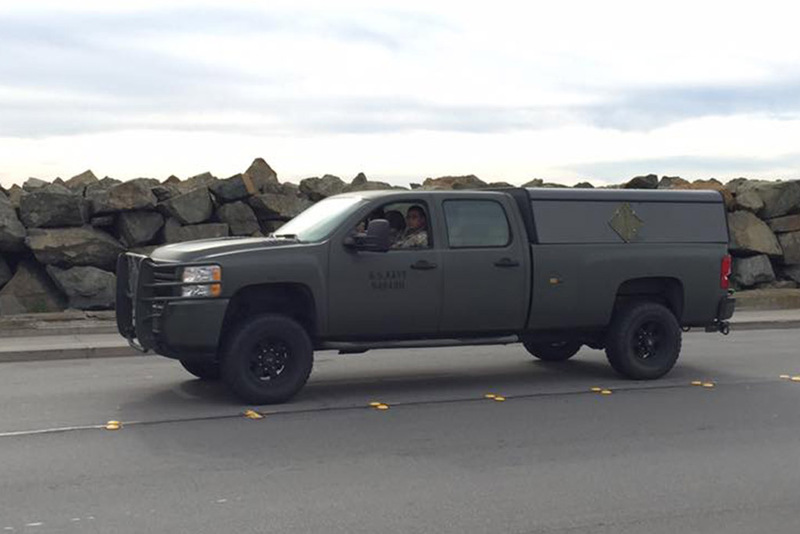 Base-level Silverado models use the WT (Work Truck) designation. Two trim levels are offered: the 1WT ($27,000), which includes only the basics, such as power locks, cruise control, air conditioning, vinyl upholstery and an AM/FM stereo without a CD player, and the 2WT ($29,100), which adds keyless entry, power windows, SiriusXM satellite radio and Bluetooth. The 2WT also features Chevrolet's MyLink audio system with a 4.2-inch center-mounted color screen. Shoppers who step up to the LT ($32,500) trim will have features such as steering wheel audio controls, a 6-speaker stereo, a leather-wrapped steering wheel and cloth upholstery. The LT also offers more options than the WT, including features such as an alarm, a lane-departure warning system, a rearview camera and a forward-collision alert system. The luxury-oriented LTZ ($40,200) is the next trim in the Silverado's lineup. Only offered in double cab or crew cab body styles, the LTZ includes leather upholstery, heated front seats, a remote starter, a memory system for the mirrors and seats, a rearview camera and an 8-in color touchscreen for the MyLink infotainment system. 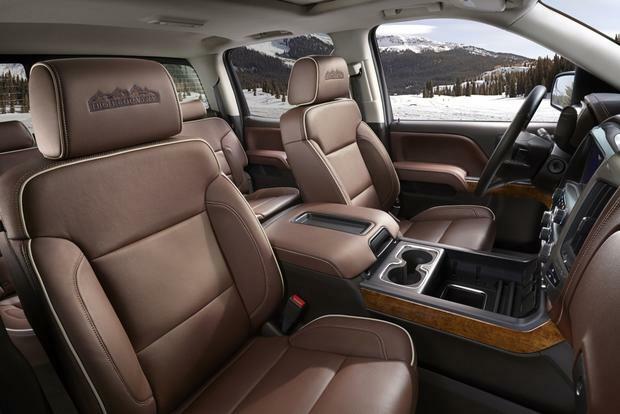 Topping the Silverado lineup is the upscale High Country ($48,400), which features stitched leather seats, chrome trim on many exterior surfaces, a Bose audio system and cooled front seats. It also uses the truck's 6.2-liter V8, which is exclusive to the High Country model. If you're interested in options, the Silverado has quite a few. Additional extras include a power sunroof, a navigation system, safety features such as forward-collision alert and lane-departure warning systems, cooled seating, power-adjustable pedals and a heated steering wheel. All Silverado pickups include daytime running lights, dual front airbags, front-side airbags, side-curtain airbags and a tire pressure monitor. Options range from a forward-collision alert system to GM's OnStar telematics system, which can summon help in the case of an accident. The Silverado is the first pickup to receive a 5-star overall crash-test rating by the federal government's National Highway Traffic Safety Administration. Crew cab variants received the top rating, earning 5-star scores in frontal-impact tests and the side-impact assessment, along with four stars in the rollover rating. The Silverado's ride and handling have been dramatically improved compared to last year's model. On the road, the truck now feels more like a crossover SUV than a beefy truck. The interior remains family-sedan quiet -- even on the highway. Electric power steering delivers just the right amount of road feel but also makes the Silverado easy to maneuver in a parking lot or on a boat ramp. We spent most of our time in a 2-wheel-drive Silverado crew cab with the 5.3-liter V8. This is the setup that Chevy says most buyers will order. With 355 hp, this middle engine makes more than enough power but feels as smooth as a sedan. To capitalize on the new, more refined feel, Chevy did some serious work on the truck's interior. The gauges, dash, seats and even the carpet give the truck a more upscale feel in comparison to the previous Silverado. We like the Silverado's large, easy-to-use buttons and switches. Just below the radio and climate controls are several large switches that control features such as parking sensors and Hill Descent Control. All these switches are large enough that real truck folks won't have to take off their gloves to use them. 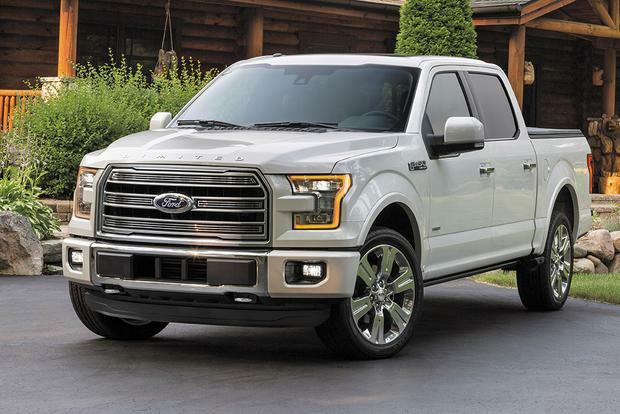 Ford F-150 -- The newly redesigned F-150 is strong competitor, offering V6 and V8 power, excellent capabilities, great gas mileage and a long list of trim levels that range from basic to luxury. RAM 1500 -- Formerly the Dodge Ram, the RAM 1500 boasts muscular styling, HEMI V8 power and available air suspension. We also like its newly available diesel engine, which is now offered on light duty models. Toyota Tundra -- The Tundra doesn't have the same wide-ranging lineup as the Silverado does, but it's getting close. Shoppers who pick the Tundra will find a refined, muscular pickup with many great standard features and options. 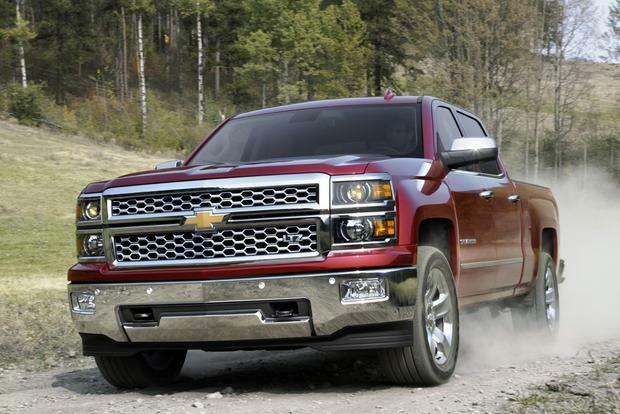 It's hard to go wrong with any 2015 Silverado, provided that you buy the truck that's right for you. In other words, don't go with a bare-bones WT model if you'll spend most of your time hauling your family around town. 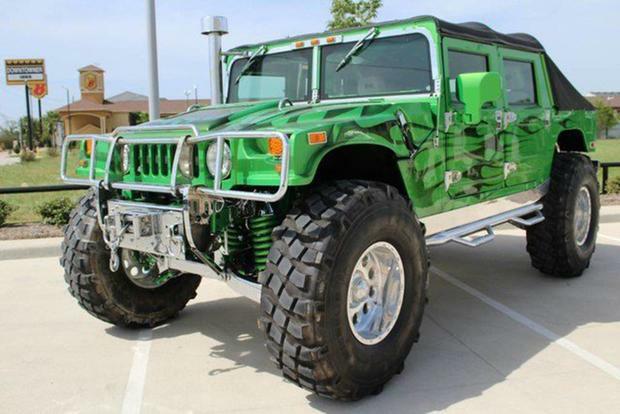 Likewise, don't go with the High Country model if you'll be driving to jobsites. For us, the right truck is somewhere in the middle: an LT, or possibly an LTZ, with Chevy's high-tech MyLink system. We'd also go with the crew cab model to maximize practicality.